I'm saving these all weather mats for the bad weather months. 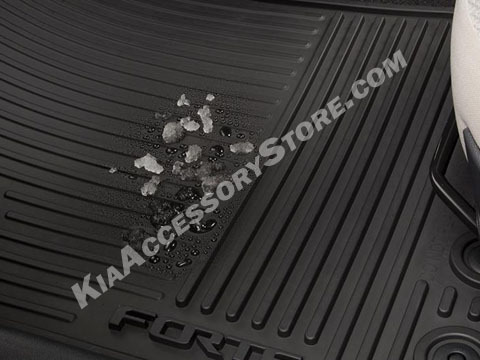 I checked out the mats and they appear to be an exact fit for my 2014 Forte EX. I'm quite certain that the quality construction of these mats will protect my cars carpeting from snow and mud. The pricing was the best I could find on the internet and was $15.00 cheaper than my local Kia dealer parts department. Shipping was fast and ordering was easy. Hope this store stocks more items for my exact auto as time goes on.